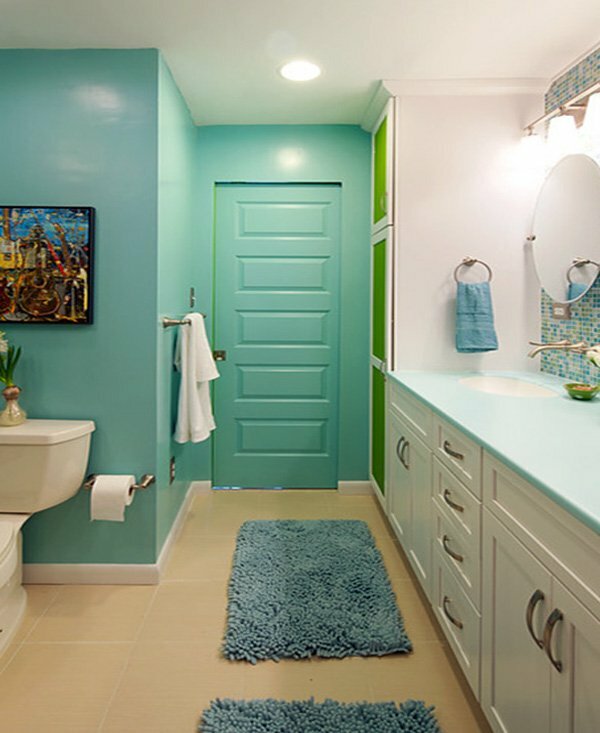 General tendency for bathroom color schemes are solid colors or matching two colors. 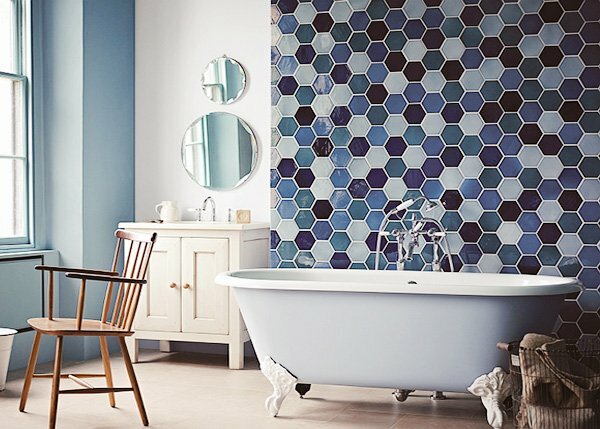 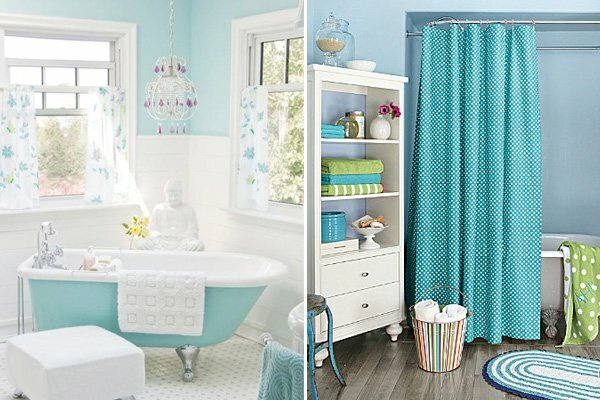 While this goes hand-in-hand with traditional and simple designs, colorful bathroom designs have become more and more popular over the past years. 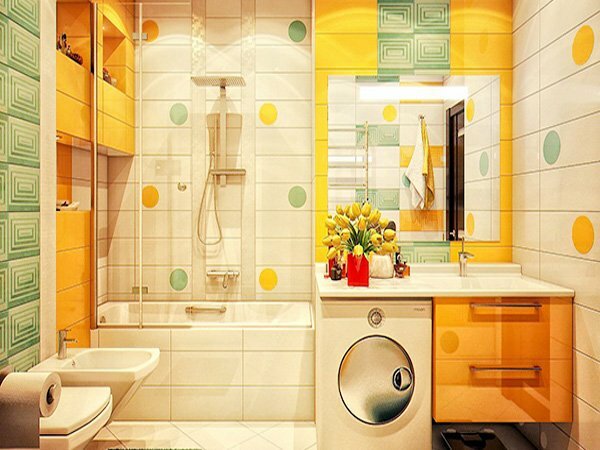 If you would like to reflect that cheerful and fun outlook, colorful bathroom decoration is the way to start. 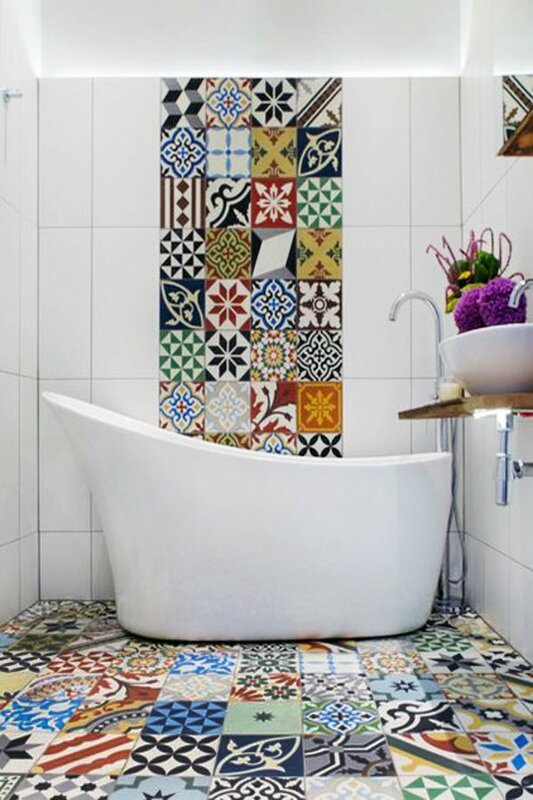 Although it is common to make use of contrast colors (they do look amazing when done right), you want your bathroom not to be too overwhelming. 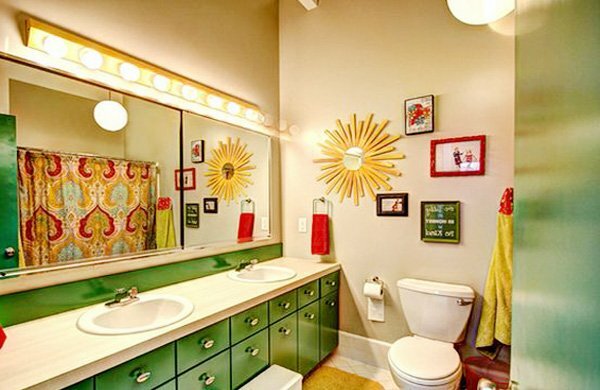 It would be just fine to use rather matching colors. 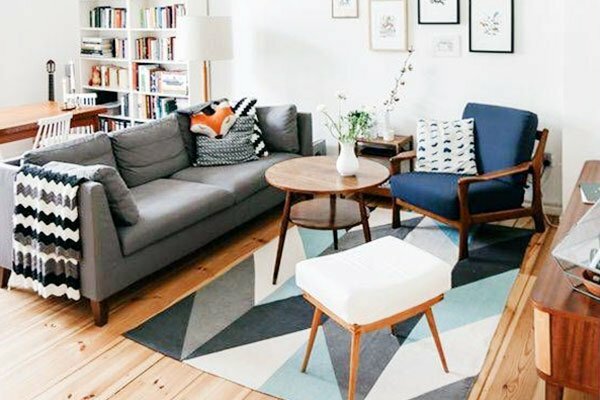 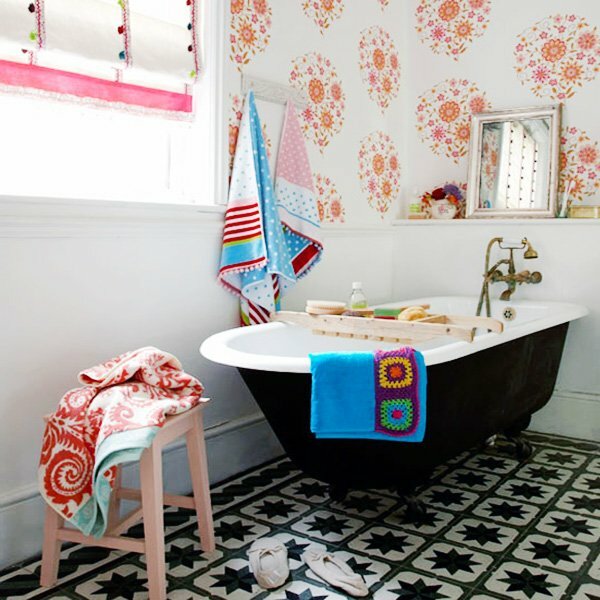 Accessories, bathroom carpets, bathroom floors and walls can very well be different colors in order to capture that dynamic and lively look, but pay attention and do not go overboard with too many different colors. 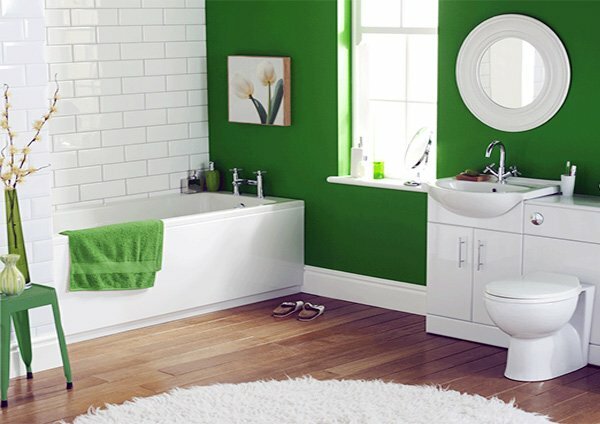 When right color combinations are used, you will have that amazing modern, stylish and even traditionally beautiful bathroom. 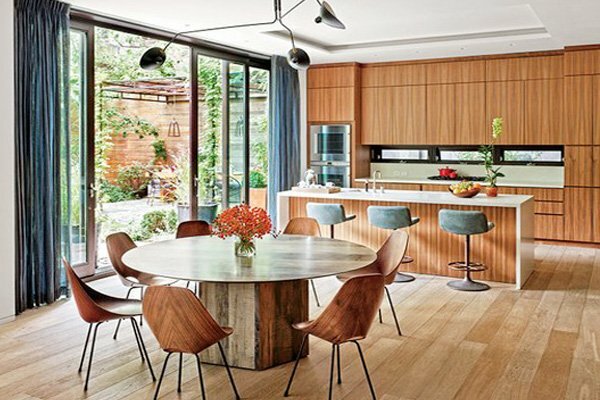 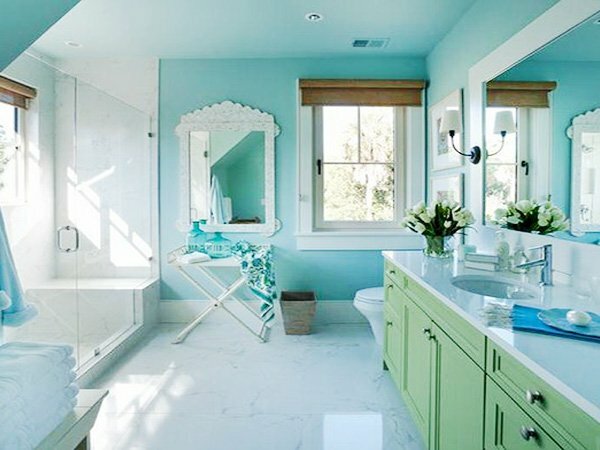 You can use different shades of one particular color and add some eye-catching, bold colors here and there to achieve that cheerful look. 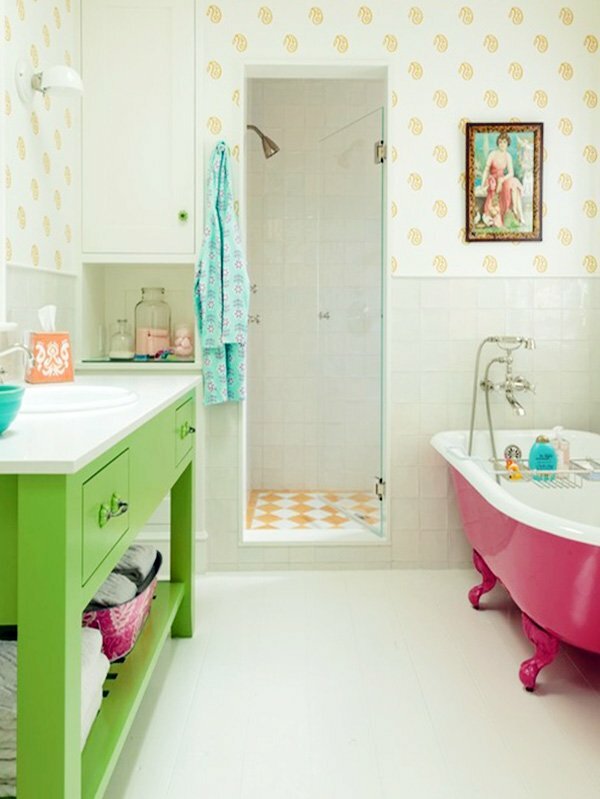 Moreover, you can blend pink & green and blue & purple together for a sweet and happy look. 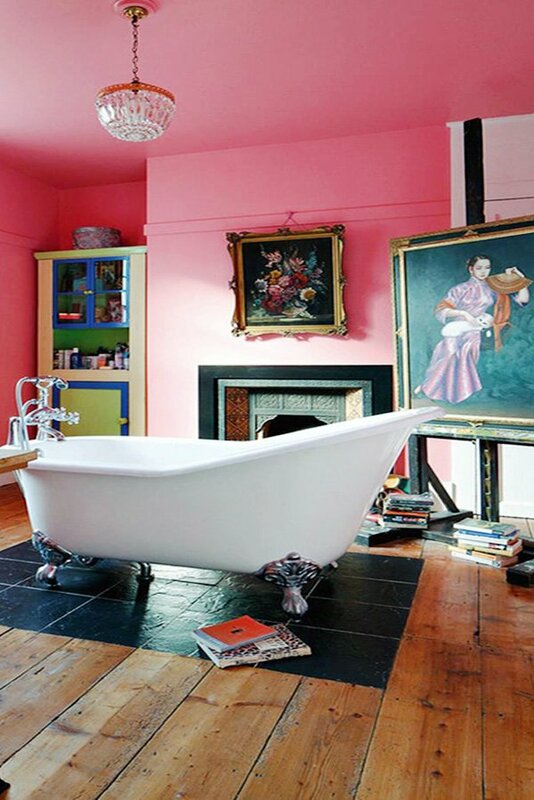 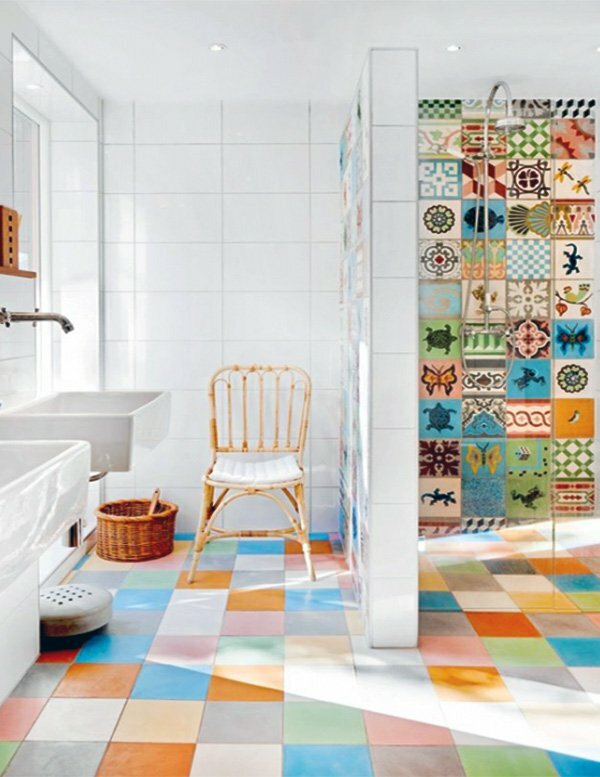 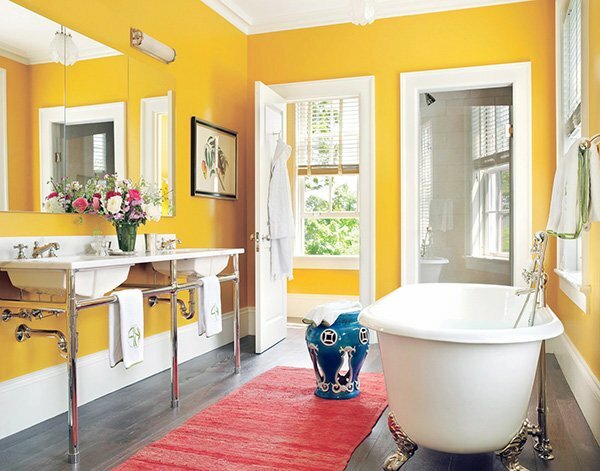 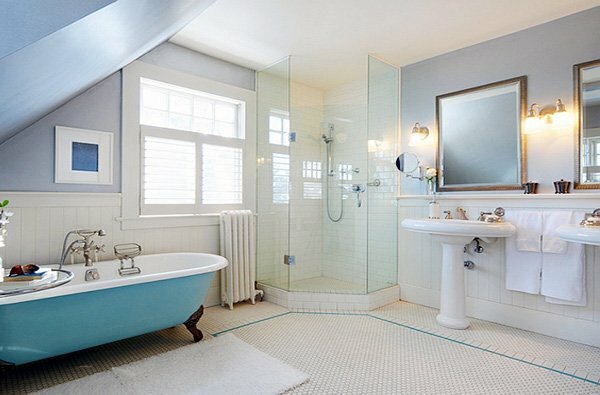 Take a chance with color and get rid of that dull look with colorful bathroom designs that will pump up your energy. 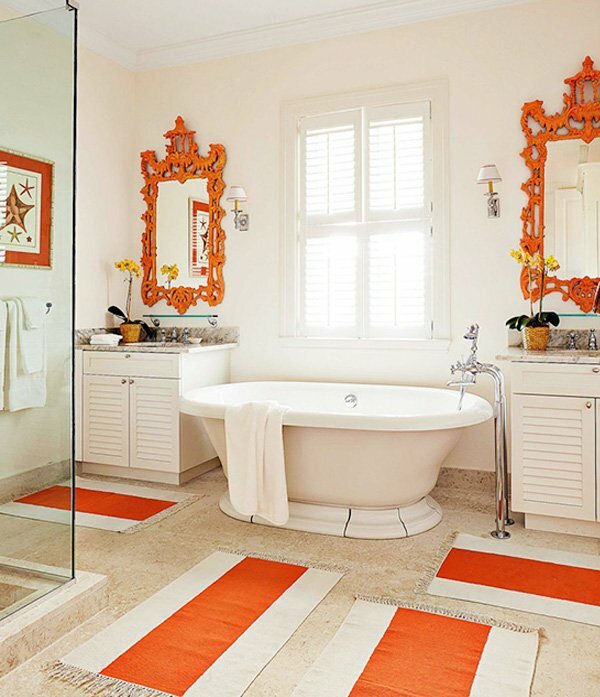 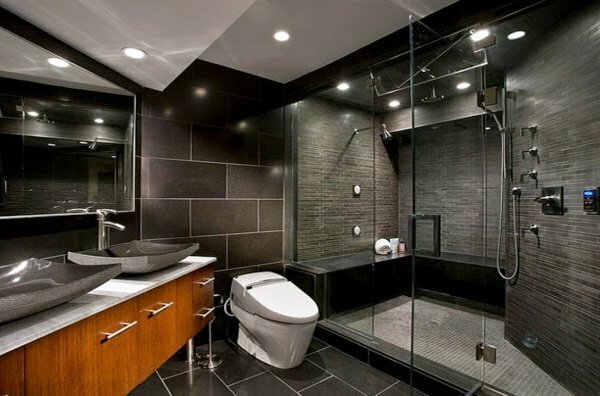 Check out these spectacular bathroom ideas below.